Rae Weber is one of those globetrotters we’re all jealous of. She jets around Europe on the weekends, has seen some of the world’s greatest wonders and has visited more than 30 countries and four continents — all before her first birthday. Yes, before turning numero uno on September 8, 2016, little Rae logged more miles than most adults ever have, thanks to her parents, Erica Levine Weber and Christopher Weber. The world-traveling couple have lived and worked in the United States, Singapore, South Africa and Switzerland, visiting over 70 countries along the way. So when the time came to expand their family, giving up their passion for traveling was not in the cards. “Our (extended) family lives in the U.S. and we have friends who live all over the world, so travel was just going to be a part of our lives,” Erica explained. Rae quickly became part of the super troop, says Erica, who adds, "She makes such cute little carry-on!” [caption id="attachment_4156" align="aligncenter" width="640"] Rae and her parents Erica and Chris on a visit to Croatia. [/caption] At two months old, the little girl made her first trip from her birthplace of Johannesburg, South Africa to Cape Town. “On her very first trip she got to meet baby penguins,” revealed Erica. “Her first long haul was to the U.S. at three months old to meet the rest of our family. And at four months we moved to Switzerland where we started doing weekend trips and tagging along on my husband’s business trips.” The little jaunts quickly tallied up the infant's passport stamps as she visited everywhere from Denmark to Estonia. “People think we don't work!" says Erica. In reality, the family spends most of their weekends traveling. 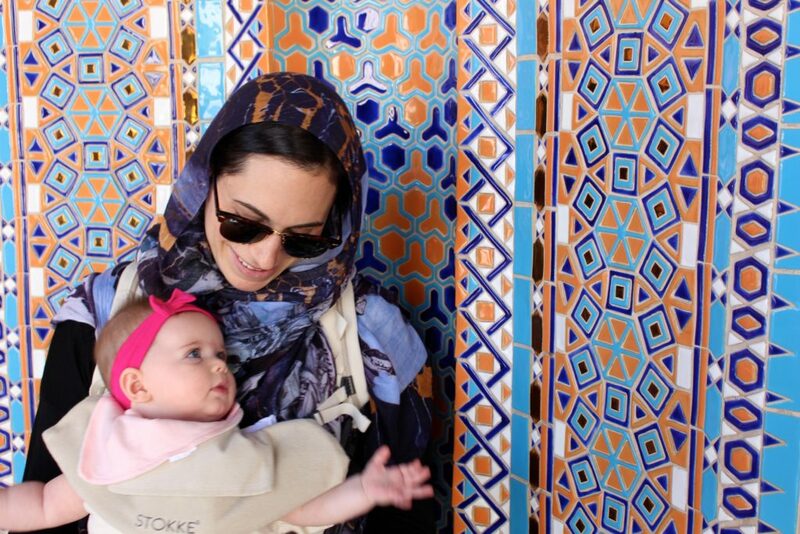 “We just happen to live in Europe where it makes it easier to visit so many different places and cultures.” [caption id="attachment_4184" align="aligncenter" width="640"] Rae with her mom, Erica visiting an Oman Mosque during one of their trips. [/caption] But just because Erica and Chris are adventurous parents, who are more than willing to take baby Rae on their travels, it doesn’t mean they don't get nervous! “As a new parent I'm always worried regardless of country or continent,” explained Erica. “The first time we ever flew I was nervous she would contract some crazy disease on the airplane. I also didn't want to be the leper on the airplane or hotel with a crying baby that everyone hated.” To their surprise (and delight), Rae was the ultimate travel companion. “We never got negative reactions with her and it was a conversation starter in different cultures,” said Erica. “The challenges continue to evolve as she gets older. We were figuring out parenting on the fly ... literally.” [caption id="attachment_4170" align="aligncenter" width="640"] Erica poses in Greece with Rae, one of the more breathtaking places the family has documented on their blog, TheWorldwideWebers.com[/caption] Those challenges include diaper changes on ancient ruins in Petra, teething in the middle of the Adriatic Sea and nursing on the Copenhagen canals. “She's slept in more bathrooms than a college freshman,” laughs Erica. The trio will soon head to Amsterdam for a belated celebration of Rae’s first birthday, and Erica and Chris say their goal is to let people know that traveling with children can be done. 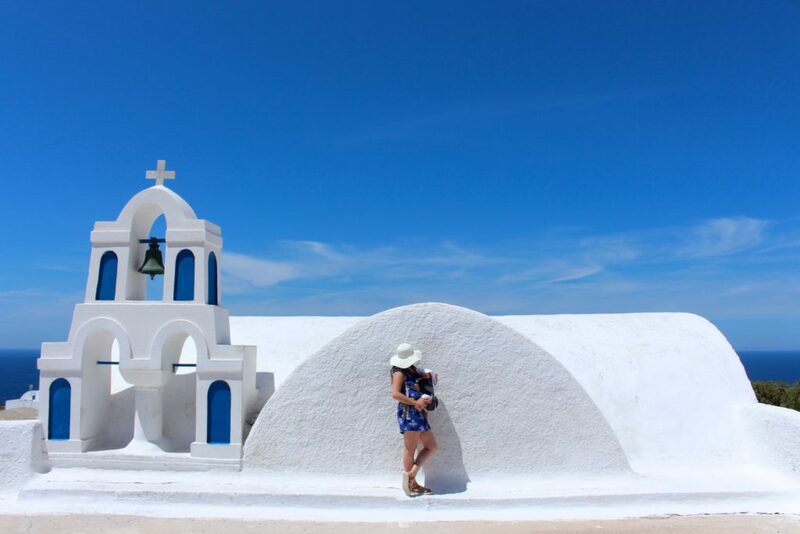 “One of the things we learned and want to show young couples is that if you love traveling, you don’t have to stop,” Erica noted. “You don't have to be as crazy as we are, but you can get on a flight with a baby and stay in these incredible hotels and have these amazing experience. It's not the end of the world that your kid won't have their normal routine. 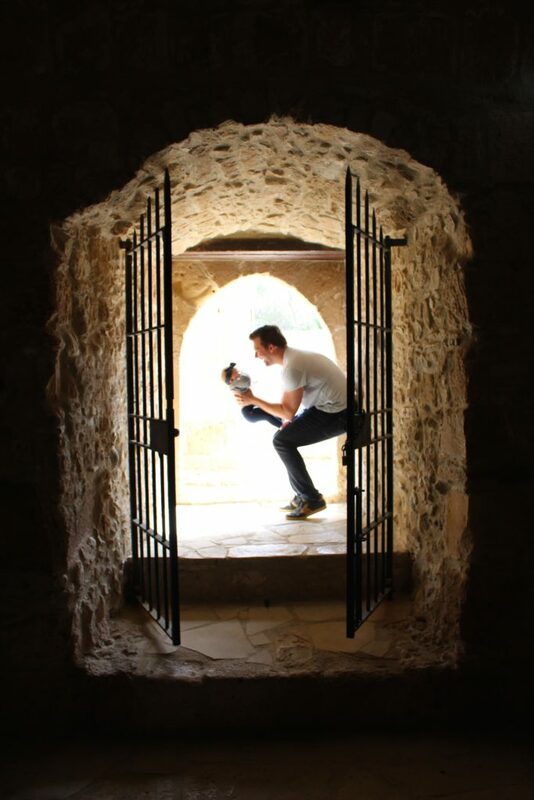 They're more adaptable than we give them credit.” [caption id="attachment_4140" align="aligncenter" width="640"] Chris cooing over baby Rae while visiting a castle in Cyprus. 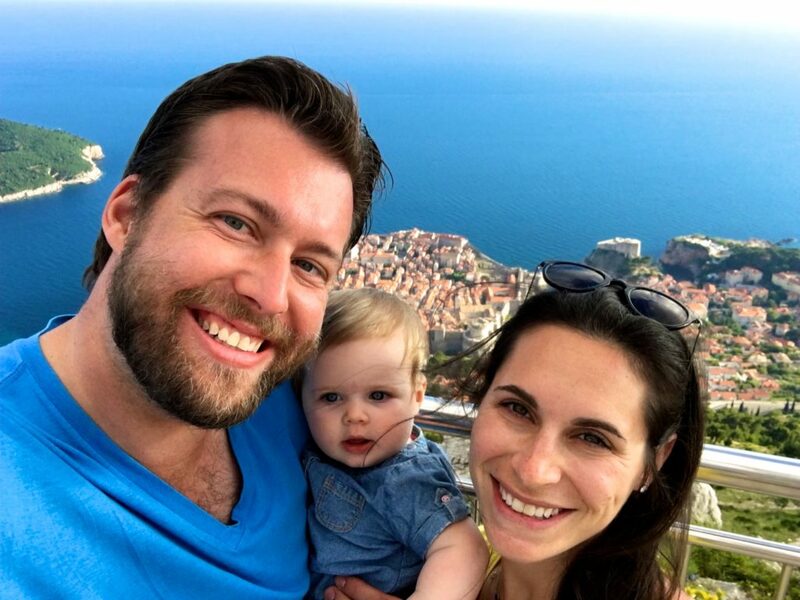 [/caption] Erica and Chris have even started their own blog, The Worldwide Webers, which documents their travels and gives advice for how to hit the road with a kid in tow. “We want to show people is that you don't have stop being you just because you have a baby,” concluded. “It's only enriched our experience.” One thing's for sure. Young Rae is bound to have to coolest baby book ever!